Global requirements in the care of the environment have led the automotive industry to generate less and less waste in its maintenance operation, for this reason, assemblers of vehicles with new engines have been developing and incorporating ecological filters for oil and gas. These ecological filters are characterized by the total absence of metal parts and the use of materials with less negative impact on the environment. Relief valves and anti-drain valves, which used to be filter components, today are part of the housing of the engine and are not replaced with every change of filter and oil. 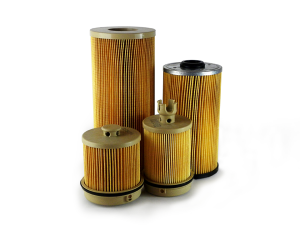 The metal housings of the threaded filters have been removed with these new filters, where only the filter element is exchanged and the housing is part of the engine.